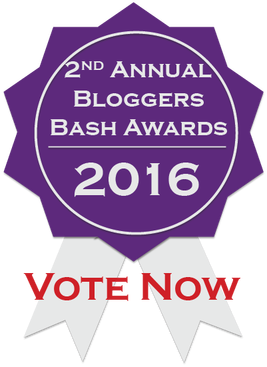 Voting closes in just a couple of days for the Bloggers Bash Awards 2016. A Bad Witch's Blog has been nominated in the Hidden Gem category and I must say I'm thrilled. Categories are Funniest Blogger, Best Book Review Blog, Best Dressed Blog, Best Newcomer, Most Inspirational Blog, Hidden Gem, Services to Bloggers, Most Informative Blog, Best Pal and Best Overall Blog. To vote, all you need to do is to go to Sacha Black's page here: https://sachablack.co.uk/2016/05/19/vote-now-annual-bloggers-bash-awards-now-open/ then click on your choice in each category. If you choose to vote for me, my name is Lucya and, as I mentioned earlier, I am listed in the Hidden Gem category. Have voted , good luck.